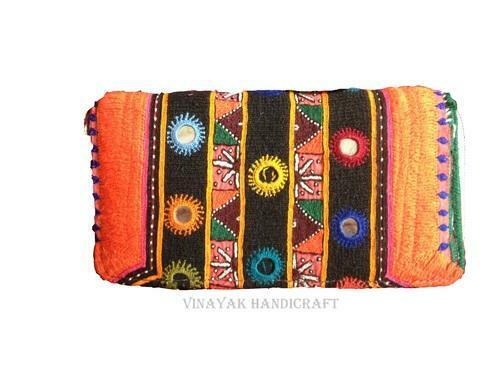 Banjara clutch purse is an handmade clutch made from vintage textiles, its Traditional Rajasthani looks and Embroidery done with applique and cotton thread with natural colours. 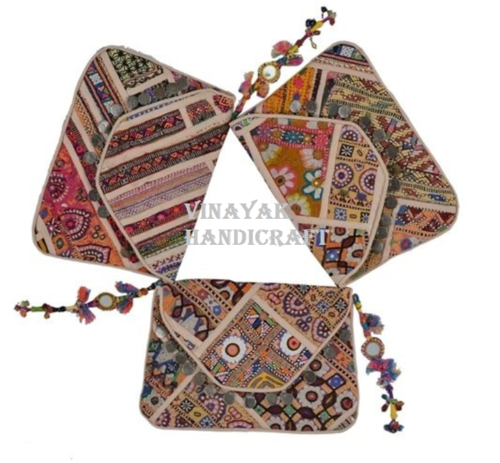 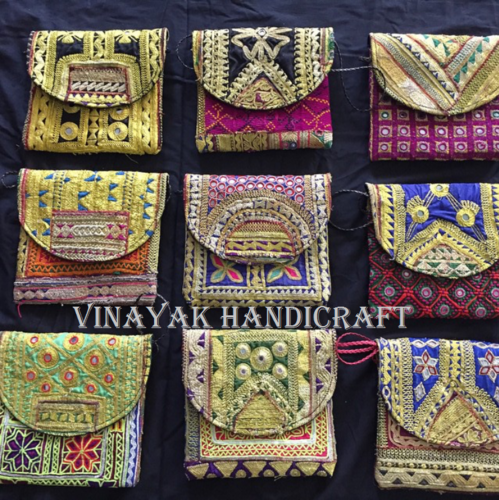 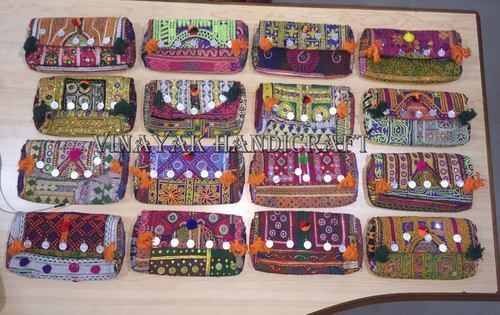 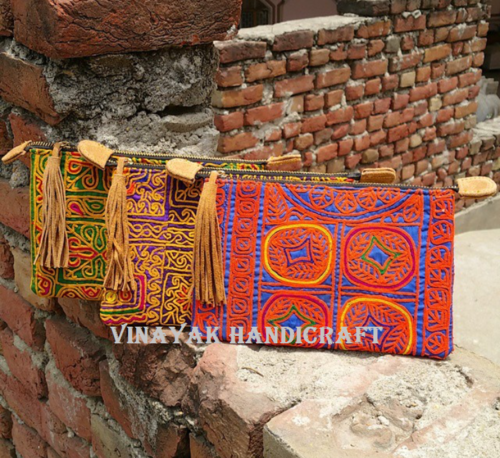 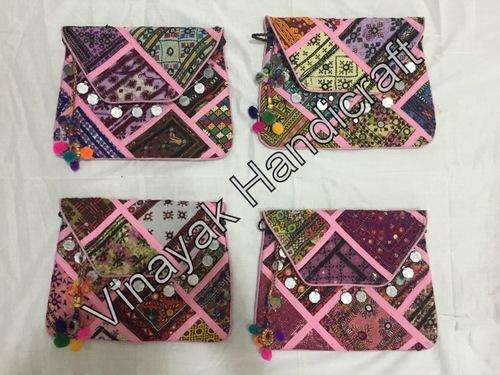 Banjara clutch purse is an handmade clutch made from vintage textiles ,its Traditioanl Rajasthani looks and Embroidery done with applique and cotton thread with natural colors. 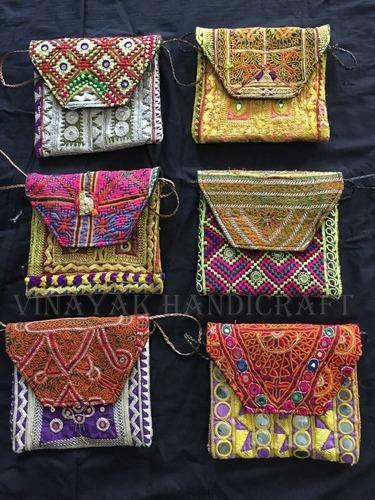 Its Traditioanl Rajasthani looks and Embroidery done with applique and cotton thread with natural colors. 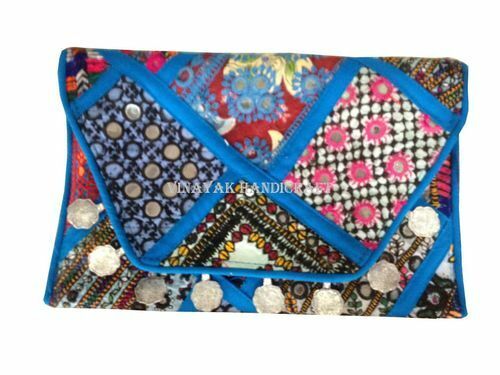 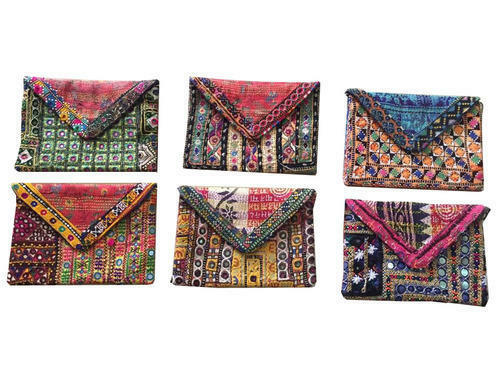 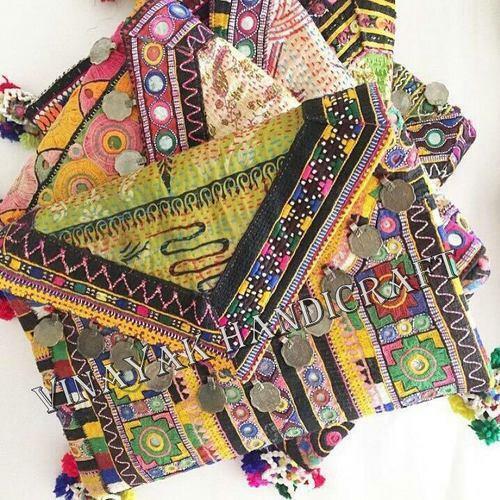 This awesome traditional bohemian Banjara envelope clutch has been handmade out of traditional Banjara fabric with beautiful embroidered detailing, mirror work and signature Banjara dangling pom poms in a sturdy large envelope style clutch. 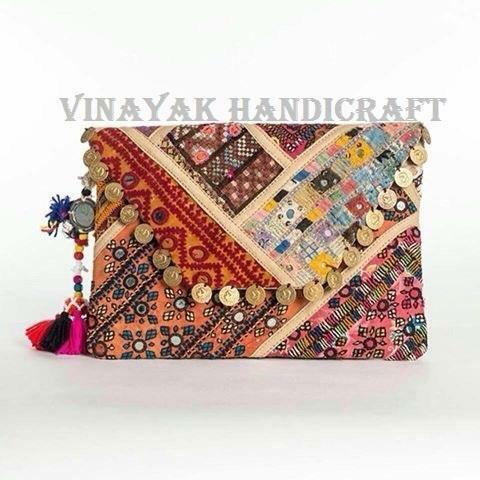 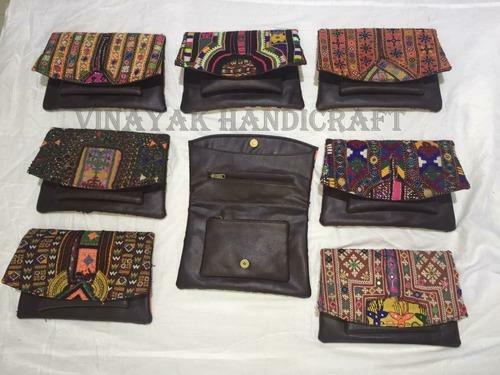 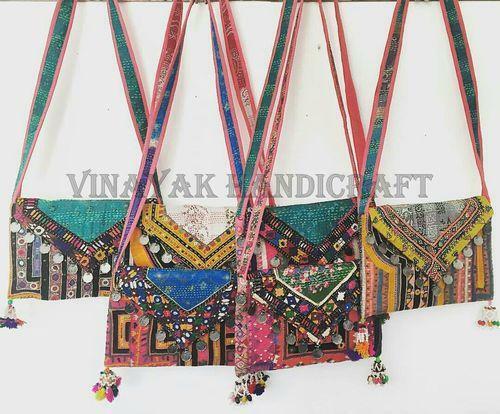 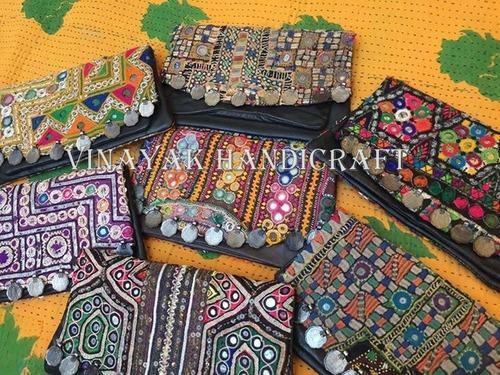 Our handmade Vintage Gypsy/Banjara/Boho/Hobo clutch/leather sling bag comes in one and only design which makes each piece unique. 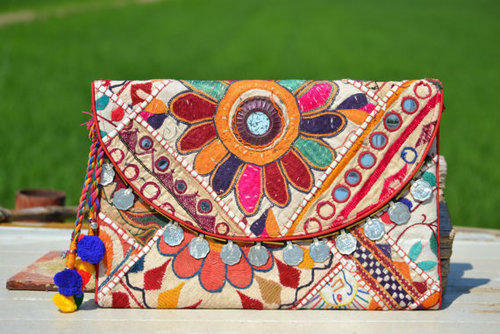 It is 100 percent handmade from vintage textiles. 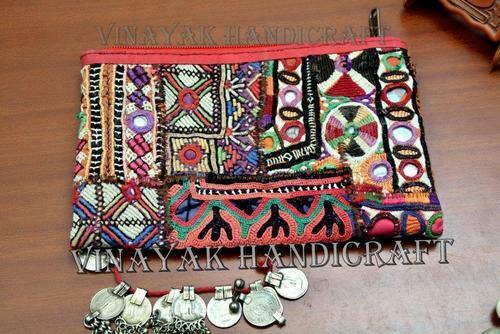 Sewn details include thin leather sling, tasselled colourful medallions with beads, vintage coins, hand embroidered mirror work, as well as embroidered patchwork pieces of multicoloured vintage dowry textiles; which sometimes comes in its imperfection and as a result makes it even more uniquely vintage in nature. 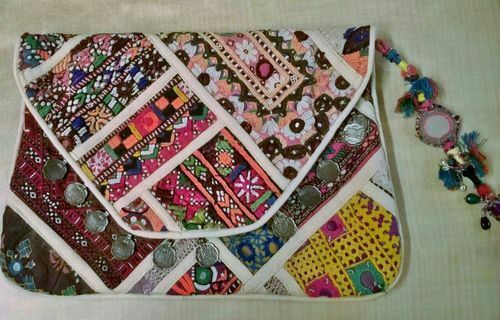 Fully cotton lined with inside zipper and magnetic button. 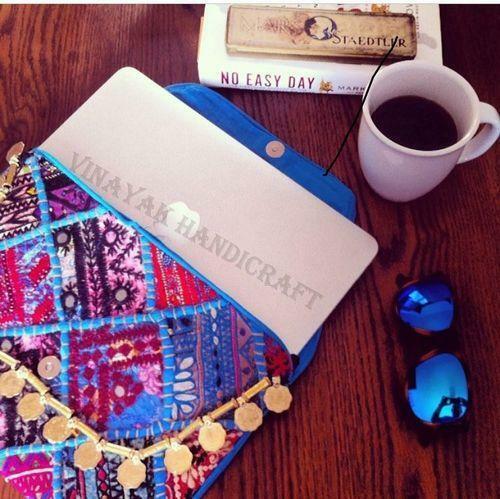 Stylish to carry your IPad/ work notes. 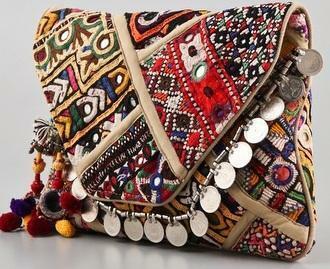 Perfect as party/leisure bag. 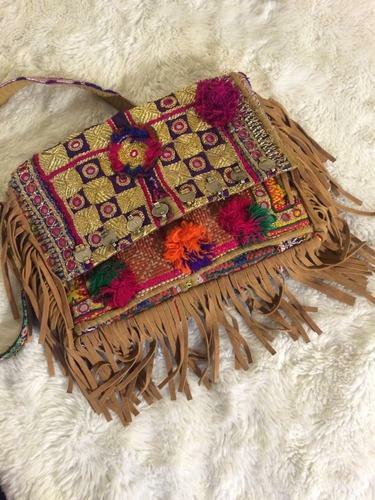 This bag has stylish uniquely vintage written all over it. 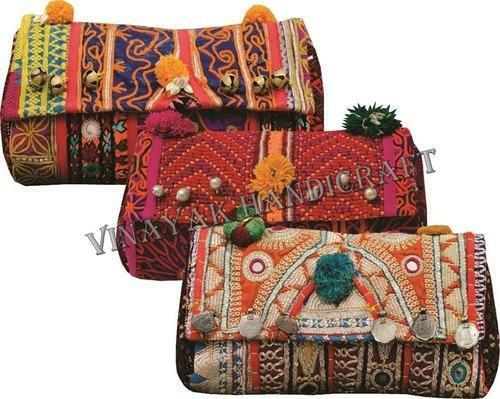 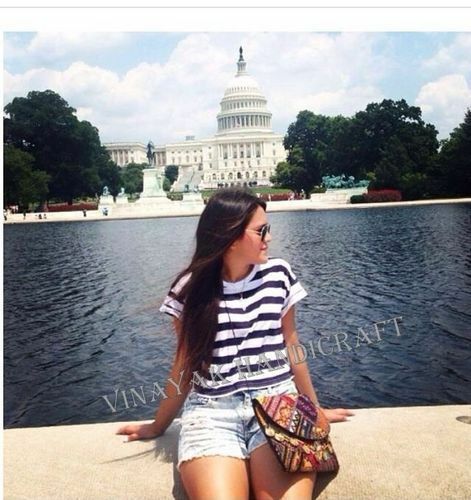 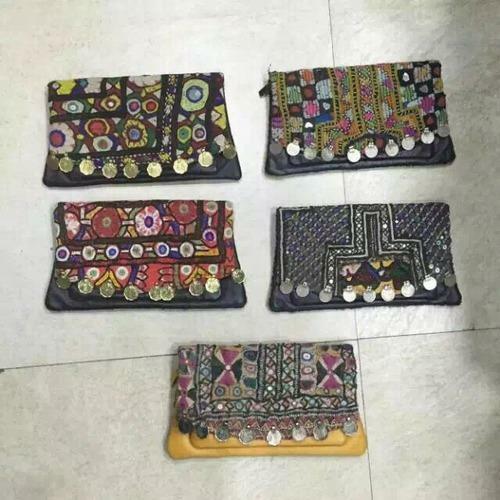 Our company is known one of the best manufacturer, supplier and exporter of Vintage Fringis Clutch Bag. 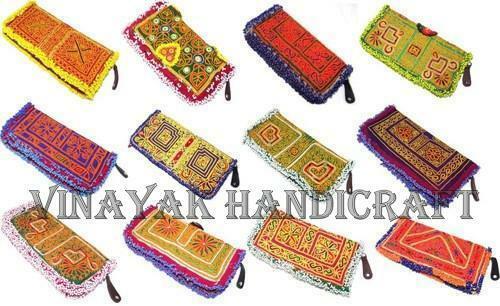 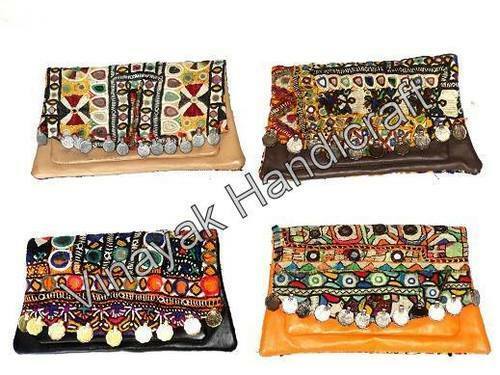 Our company is known one of the best manufacturer, supplier and exporter of Banjara Ladies Clutch Bags. 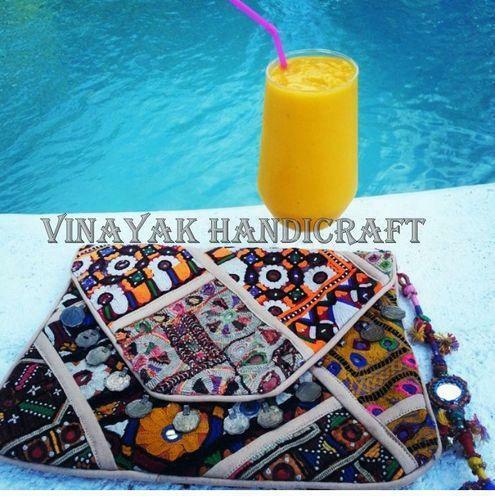 Make a fashion statement with this bright and playful coloured bag. 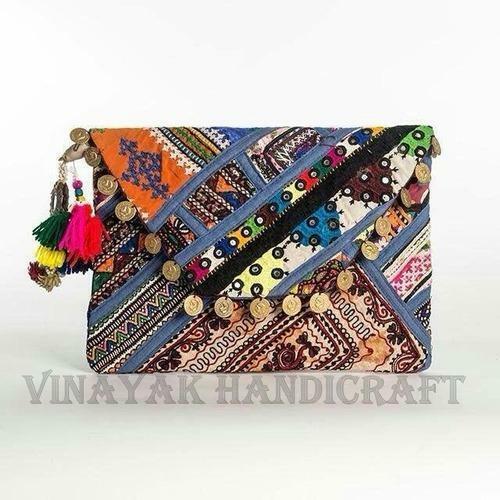 It's the perfect everyday bag, that can be used as a clutch, across body bag, iPad or tablet case - spacious and roomy with hot and trendy exterior! 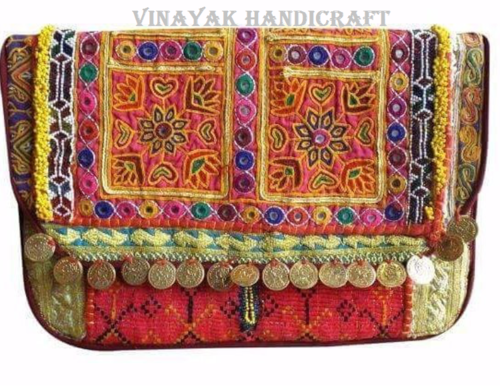 Please note this is a vintage piece that is handmade from start to finish. 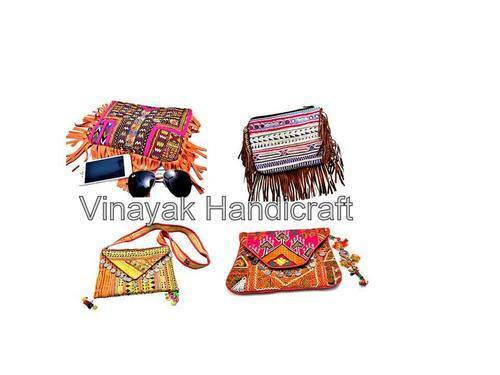 The materials of this bag are antique, vintage tribal fabrics that have been collected over the course of many years from the banjara tribes. 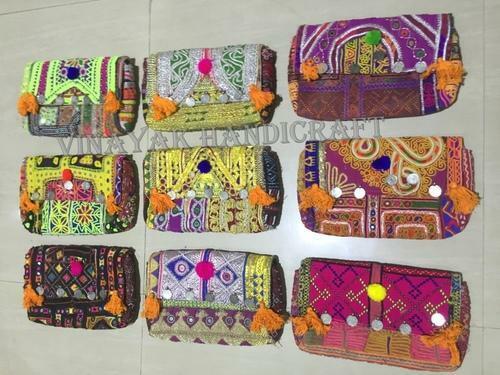 Banjara clutch purse is an handmade clutch made from vintage textiles ,its Traditional Rajasthani looks and Embroidery done with applique and cotton thread with natural colors. 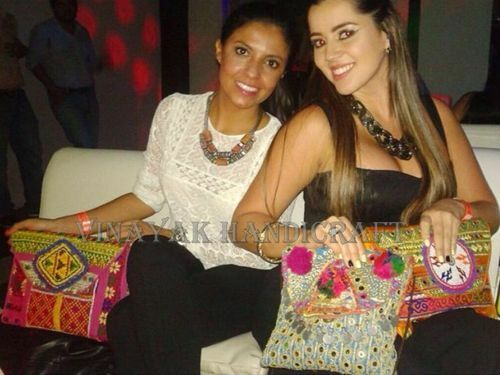 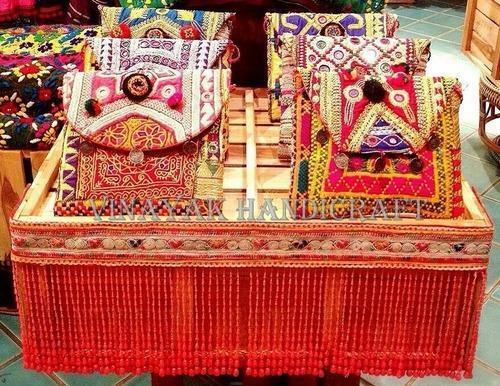 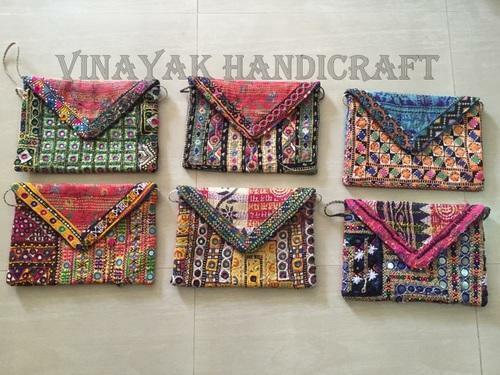 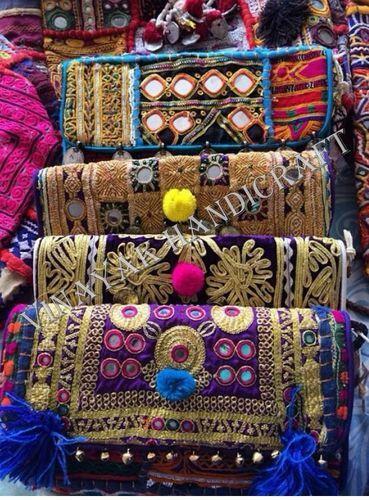 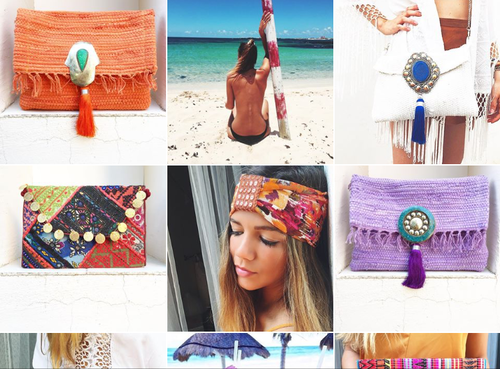 Looking for “Banjara Clutch Bag”?